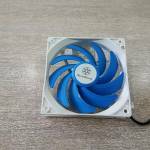 In this review, we will be looking at SST-AP122 fans. AP series is focused on Air Channeling category. 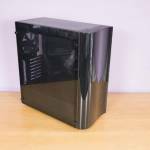 AP122 is marketed as PC Case fans. These fans combine 9 blade design with a grille on the backside of the fan forming a dedicated air channel which is focused on flow. These fans have 3-pin connector. The fans come in a simple transparent packaging. There is a dual sided printed paper covering the backside of the fan and a bit of the lower portion on the front side. 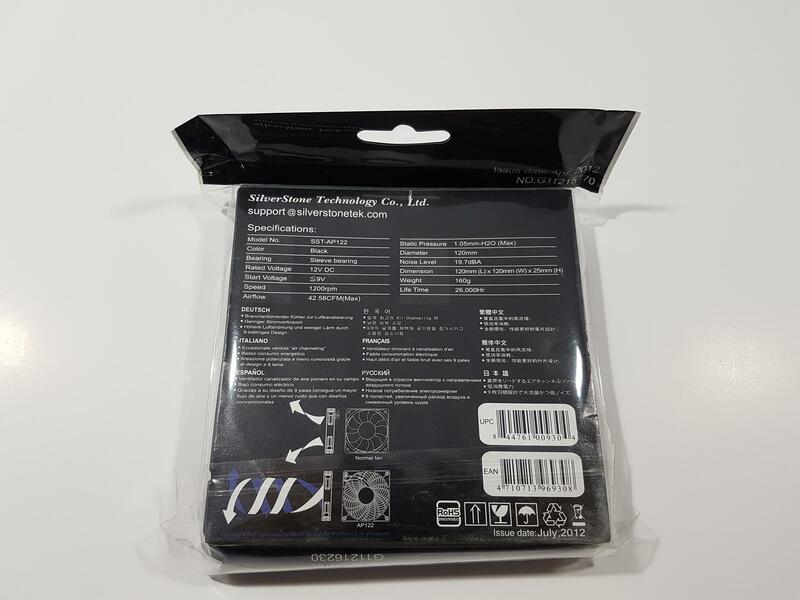 The top black color cover portion has SilverStone brand name and logo printed on it. Air Penetrator is printed on the lower inside paper cover. The fan has < 19.7 dBA and 1200 RPM. The backside cover has SilverStone Customer support contact info printed on the top. Specifications of the fan are printed in a tabular format. UPC and EAN info labels are printed on the bottom right side. Features of the fan are printed in 9 different languages. There are pictures on the bottom left side depicting the airflow pattern of these fans as compared to the standard ones. 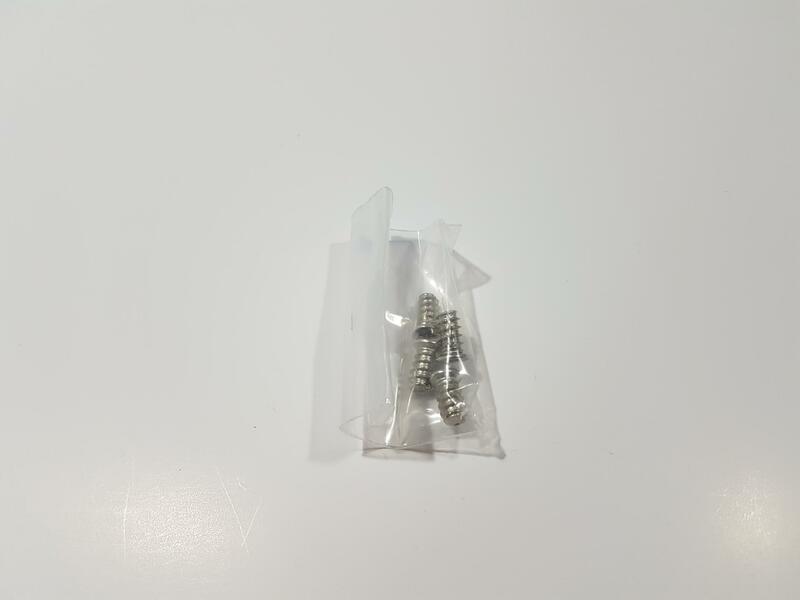 There are not a bunch of accessories included except that of 4 M3 silver screws. 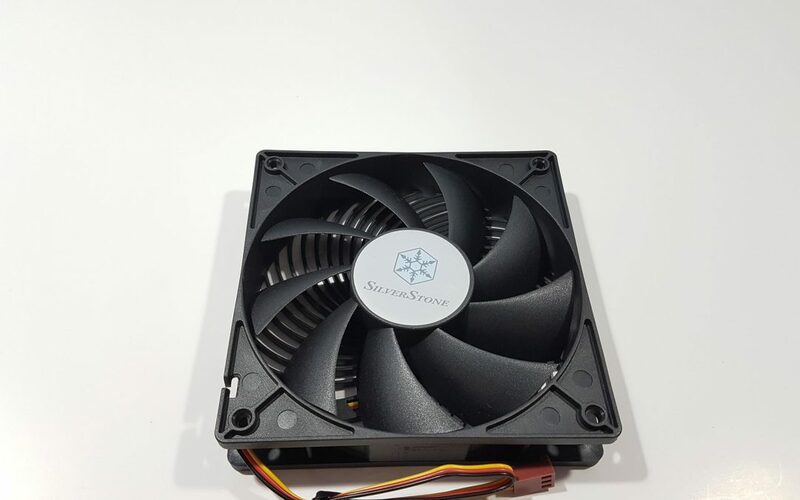 The SilverStone AP122 are 120mm quiet edition fans. 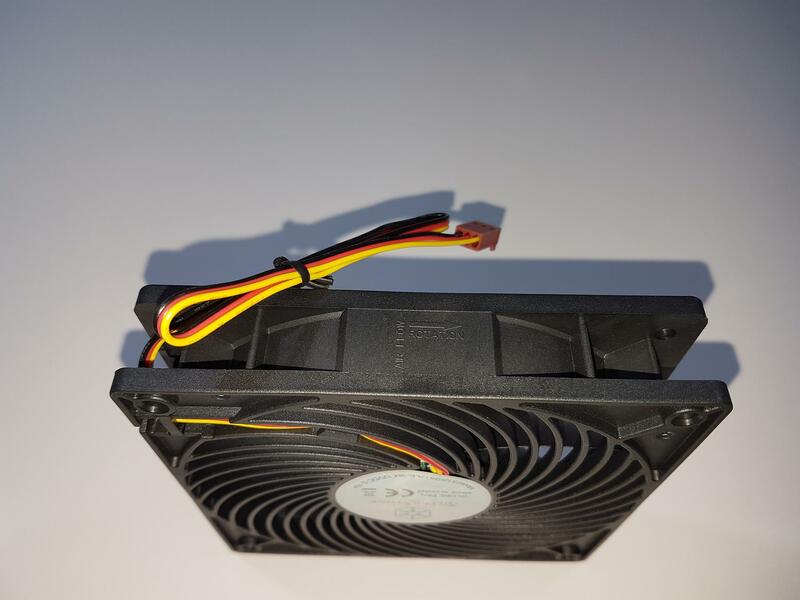 Here is what the manufacturer has to say about these fans, “The AP122 combines two classic SilverStone fan designs into one with 9-blade design and the Air Penetrator grille. The result is a quiet 120mm fan with increased airflow rating and lower noise level than the original AP121, but with a sacrifice to air pressure. 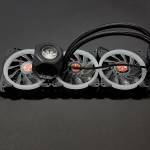 For those looking to add an air channeling fan into cases with less resistance, the AP122 is a great alternative!”. Let’s take a closer look at the fans. 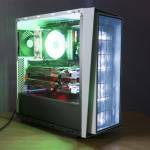 The rated speed of the fans is 1200±10% RPM. The airflow rating is 42.58 CFM. The static pressure rating is 1.05 mmH₂O. Noise level rating is 19.7 dBA. Rated voltage is 12V DC. Starting Voltage is 9V DC. The fans are using the sleeve bearing with 26000 hrs MTBF. The fan has a black color frame and it has 9 blades. There is a colored sticker pasted on the motor hub with SilverStone brand name and logo printed on it. There are no anti-vibration pads on the mounting corners of the fan. The backside has the unique design approach. Instead of traditional 4-arms assembly joining the motor hub with the fan’s frame, the AP122 has a grille formed right into the fan’s frame. This grille design is helping to shape the airflow coming out of the fan. Here is what the SilverStone is trying to achieve with these fans. We know that air flows from high pressure to low pressure area that would mean that air would enter the fan in an even format. In traditional fans, the exhaust from the fan is not in an even manner but it is spread more across the boundaries than on the center that would leave a dead spot in the middle. This is where high static pressure fans would come handy as increasing airspeed would reduce airflow from spreading but this would add more noise to the operations hence it is a trade-off. 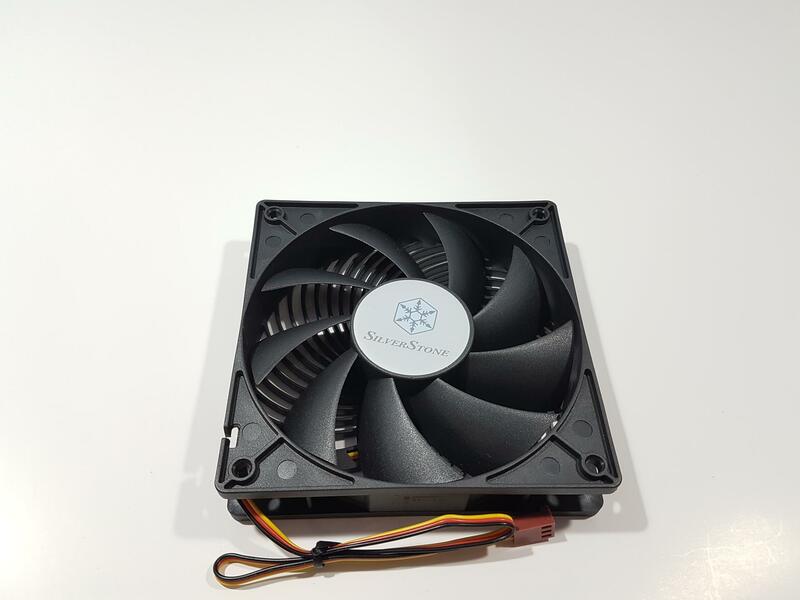 SilverStone has stated that during their testing they have found that introducing the grilles at the back of the fan helps in reducing the spread of the airflow and forms a channel in which air is moved in swirling manner that would mean we have more focused flow. 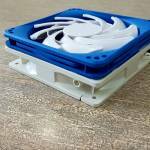 They have implemented this design approach right into the frame of the AP122 fans. The combination of fan blades twisting air into the swirl-shaped fan grille forces airflow to tumble forward in a circular fashion that virtually eliminates dead spot. The air penetrator’s airflow is vastly more focused and can reach much further as well. This design is also superior to adding a honeycomb grille on a traditional fan because there is one less obstacle for air to travel through. 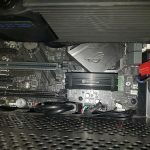 In making these fans more focused flow, the SilverStone has made one sacrifice that is a lower static pressure which explains why they are marketing these fans for the chassis airflow than to be used on the surface with more resistance to the airflow. We will still test these fans on the 360mm radiator to see how they would perform in thermals. There is a sticker pasted on the hub at the backside of the fan. The upper half has SilverStone brand name and logo printed on it. The fan is made in China and it takes 0.18A. The cable is not sleeved or braided and we have a beige color 3-pin connector. Approximate length of the cable is 212mm. The side from where the power cable is coming out of the frame has an arrow indicator for the airflow direction and an arrow indicator for the rotation. 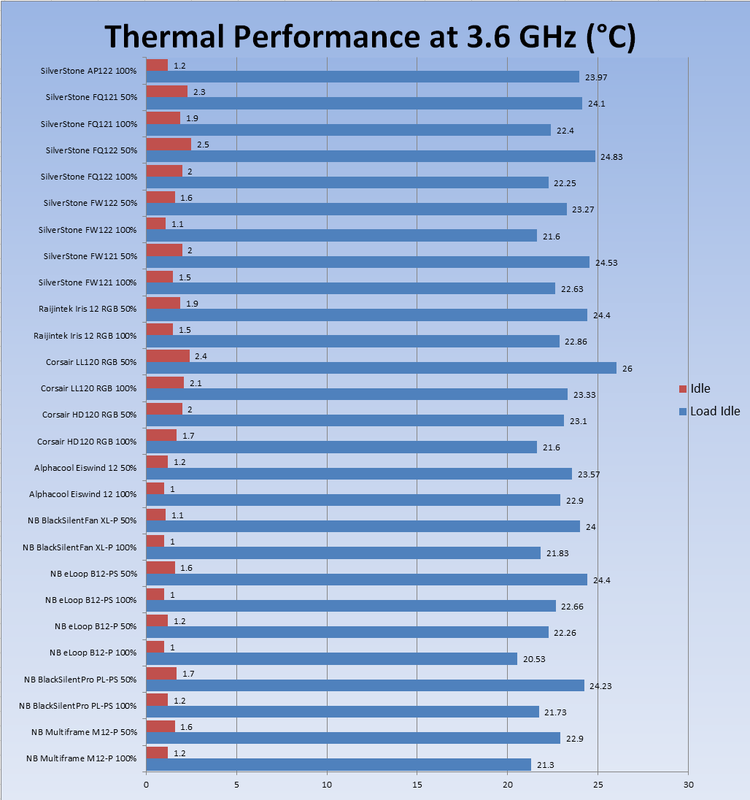 We have tested the SST-AP122 Fans on the Alphacool Eisbaer 360 which is a 360mm CLC. 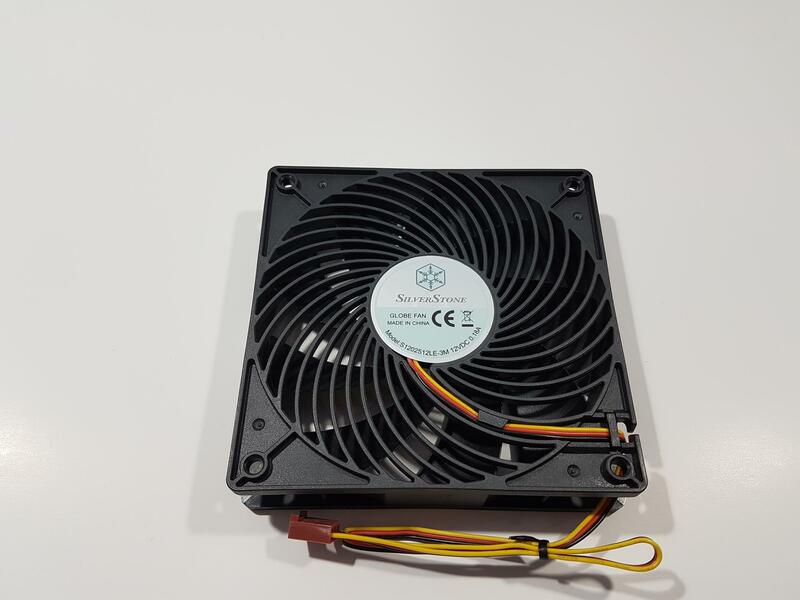 It is a standard on our test bench that we check the fans for the thermal performance even if they are rated for high airflow than static pressure ones. 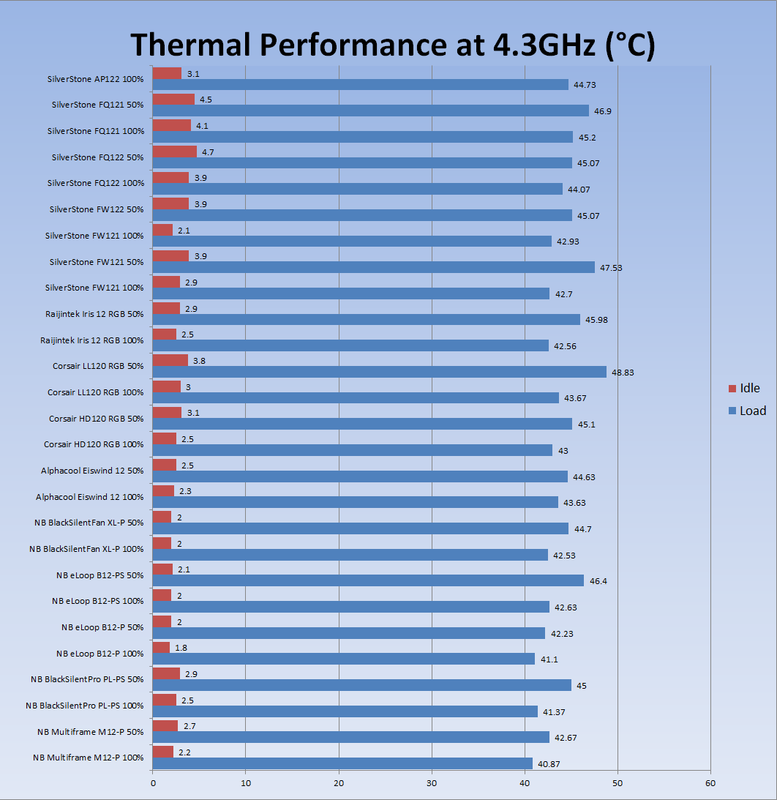 The other fans in the graph are Eiswind 12 from Alphacool, Corsair HD120, LL120 RGB Fans, Raijintek Iris 12 RGB and Noiseblocker fans etc. The Eiswind 12 fans operate on the 12V DC. They are 4-Pin PWM fans with the rated speed of the 55-1700 RPM with ±10%. Airflow rating is 63.85 CFM with the static pressure rating of the 1.66mmH₂O. Sound rating is 29 dBA per fan. 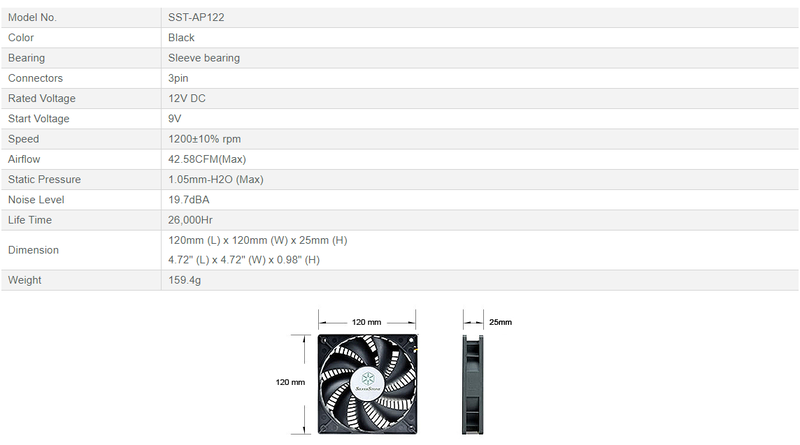 The reason we are giving the brief rundown of the Eiswind 12 fans is that these are the stock fans of the Alphacool Eisbaer 360 and holds a reference point for the comparison. We test the airflow of the fan without any resistant to the flow i.e there is no radiator or mesh between the fan and the PerfectPrime WD9819 Anemometer. 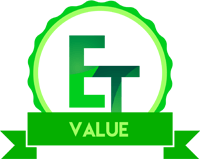 The rated airflow value is 42.58 CFM at full speed. 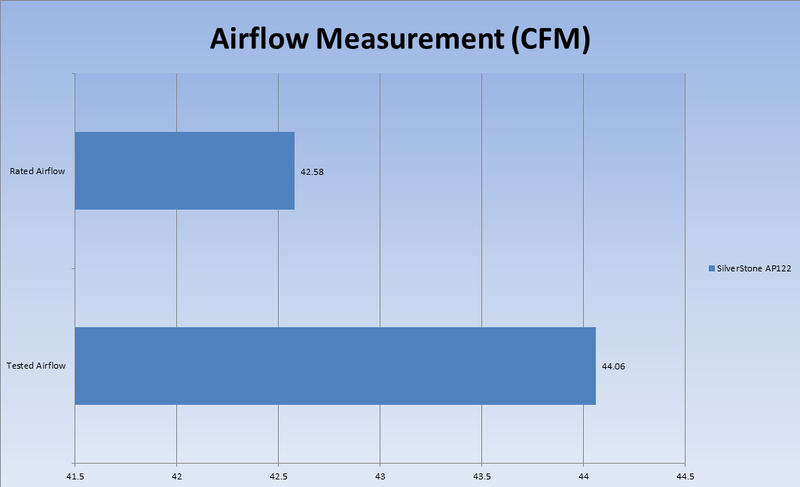 In our testing, the airflow value comes to the 44.06 CFM validating the airflow rating. Next up, is the speed range of the fan and the corresponding airflow values. 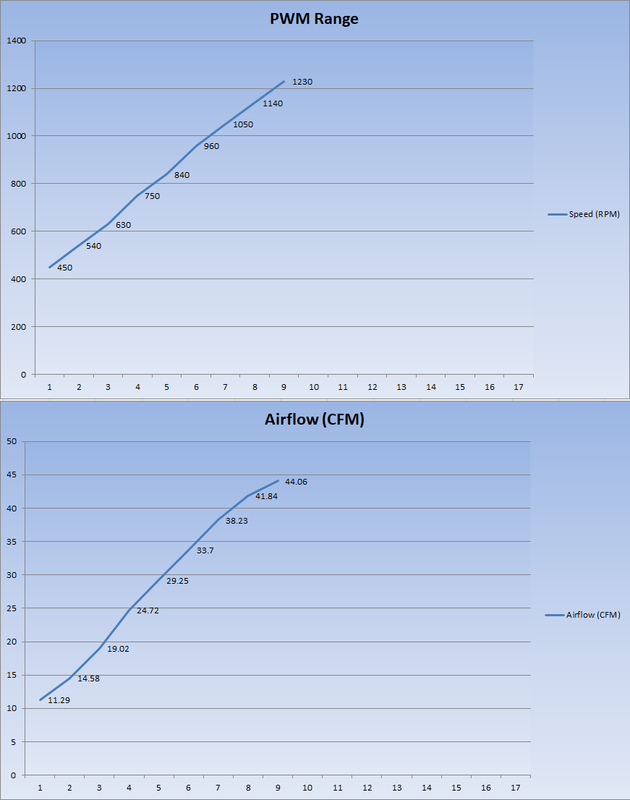 The graphs are showing the range of the speeds on these fans and the airflow measure on each speed in that range. 450 is the lowest RPM achieved on these fans. The maximum speed of the fan comes to 1230 RPM. Rated speed is 1200±10% RPM. Rated speed is validated for all three fans. 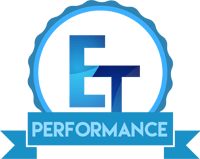 Testing was performed on the Microsoft Windows 10 x64 Professional edition build version 1709. Noctua NT-H1 thermal paste was used. The fans were put 100% of their speed. The pump of the CLC was put on 100% of the speed. 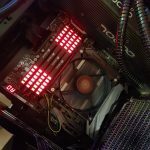 Asus RealBench v1.44 was used to stress test the CPU. RealTemp was used to monitor the temperatures. First, the stress test was run on the stock clocks of 3.6GHz at 1.14V VCore. XMP was loaded all the times. Reported temps are delta ones which are calculated by subtracting the average of each core’s maximum temps from the ambient temp. 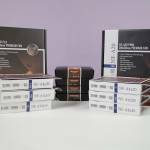 The benefit of using delta temps is that it covers the variation in the temperatures under uncontrolled environment. Next, the Chip is overclocked to 4.3GHz at 1.350V VCore. XMP is loaded as well. Stress test is run again using the same methodology as described above and delta temps are noted. Despite having a lower static pressure of 1.05mmH₂O these fans at 100% of their speed have performed admirably well. They were doing 23.97°C as compared to the 22.9°C on the Eiswind 12 fans. Next, we overclocked the i7 6850k to the 4.3GHz. These fans were doing 44.73°C as compared to the Eiswind 12’s 43.63°C. Despite being low on static pressure and mediocre airflow rating, these fans have performed excellently. Why Excellent? Read the Acoustics section below. The SST-AP122s are rated at 19.7 dBA. We could not measure the sound rating due to the room’s ceiling fan as the summer season is at its peak here. But given our experience with the fans that we have tested so far, the SST-AP122s are silent fans. To be honest this level of noise to performance ratio is what I would expect from Noctua. But, SilverStone has nailed it with these fans. 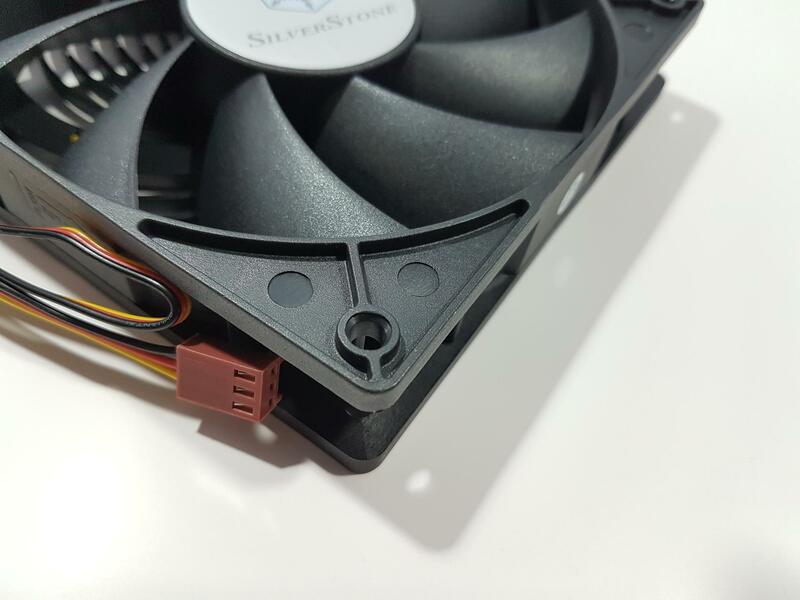 The SilverStone AP122 are 120mm quiet edition fan from Air Penetrator series. 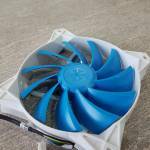 The dimension of the fan is 120x120x25mm. 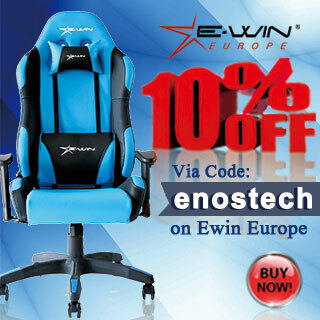 The rated speed of the fans is 1200±10% RPM. The airflow rating is 42.58 CFM. The static pressure rating is 1.05 mmH₂O. Noise level rating is 19.7 dBA. Rated voltage is 12V DC. Starting Voltage is 9V DC. The fans are using the sleeve bearing with 26000 hrs MTBF. The fan has a black color frame. There are no anti-vibration pads on the mounting corners. The fan has 9 impellers. The backside of the frame has an integrated grille that helps formulate a focused flow design for the airflow. This approach has paid off as the fans are capable of moving decent air inside the chassis without much spread and dead spots. This performance is coming from the silent level of operations which is another plus for these fans. The fan has a 3-pin power connector. The cable is not sleeved or braided. Overall build quality is good. The fans are rated at $6.99 at the time of the review. 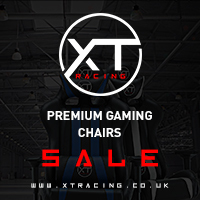 This is definitely a better value for your bucks. We put these fans to cool 140W TDP chip i.e 6850k on our Alphacool Eisbaer 360. Surprisingly, these fans have performed very well on our test bench. Graphs are speaking for it. The noise-to-performance ratio is what I would expect from Noctua but SilverStone has delivered quite a punch with these fans. 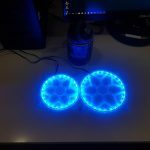 I would like to see the high airflow edition of these fans with bit more sound. That would make these fans stand out the competition the way they should. These fans have won our Performance and Value Awards. 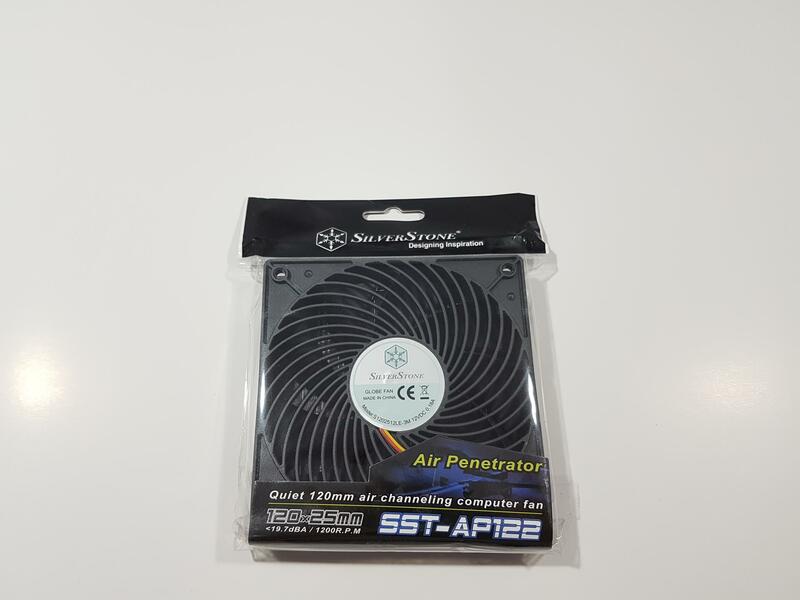 We are thankful to the SilverStone for sending us their SST-AP122 fans for the review.